 If men were limited to one pair of boots then a pair of Gumleaf USA’s would be a great place to start. Outdoors-men of all disciplines love these boots: wingshooters, dog handlers, waterfowlers, big game hunters, fishermen, equestrians, farmers and more. 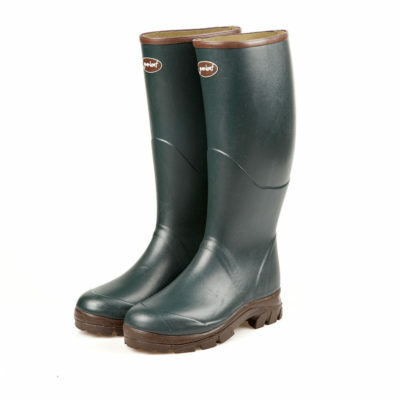 Outstanding comfort delivered in a pair of 100% waterproof boots. Pull on a pair of Gumleaf USA boots for work, and your feet are immune from the harsh conditions at work sites or on the farm. 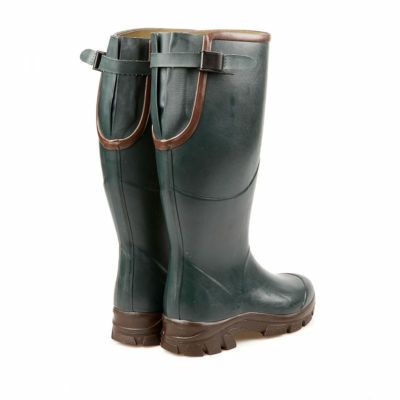 Wear them on a wet day commute from the commuter rail to the office or on the sideline at your son’s football game. You’ll appreciate the support of an air-cushioned heel and forefoot plus the high-performance sole with all-terrain grip. Natural rubber provides a superior grip in slippery conditions. All of our mens boots feature a stitched in 5mm neoprene footbed that stays put when taking off your boots. Need extra room in the calf area? No problem! Our neoprene-lined Viking boot is roomy enough to accommodate up to 20″ in calf circumference. The Royal Zip accommodates up to 16″ in circumference and features a top-to-ankle, heavy duty YKK zipper for easy on and off. Both of these boots have an adjustable strap to help secure the best fit. 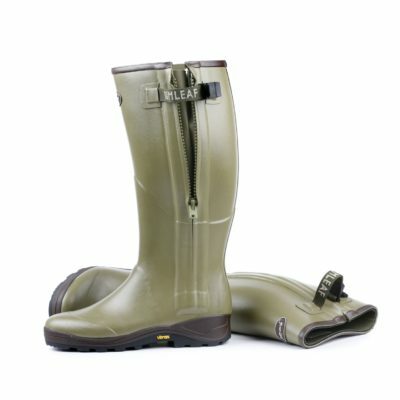 For those hot summer days, choose the coolness of a cotton-lining in our Field Wellies. And for cold days, enjoy the warmth of a neoprene-lining in our Royal Zip, Viking, or Saxon Classic boots.